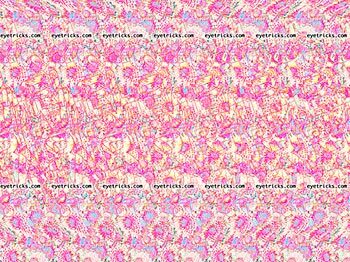 Marriage Propsal Stereograms - Will You Marry Me? Ready to propose to that special someone in your life? Are you looking for a memorable and original idea to do so? Why not use a stereogram designed just for the occasion? 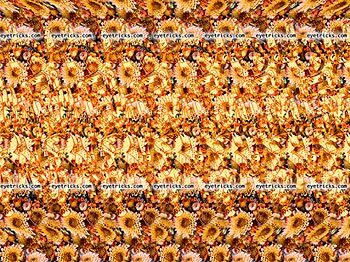 We receive a number of emails from individuals who are looking to propose to their significant other through a stereogram. 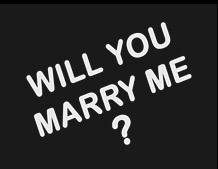 In response to this demand, we have designed 3 different versions of a "Will You Marry Me?" Stereogram. Each version is available in two different formats - 1) a high-resolution print version that is suitable for printing on an 8 1/2" x 11" sheet of paper (please note that we do not actually do the printing, but rather will deliver the file that you can use to have printed on your end) and 2) a low-resolution screen version that is suitable for display on a computer screen (1,000 pixels wide by 748 pixels tall). Examples of each stereogram are provided below. Please note that these examples have been scaled down and feature an eyetricks.com watermark. 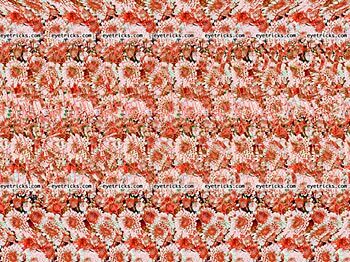 Should you decide to purchase one of these stereograms, the watermark will not be present. All of the above stereograms share the same hidden image, provided below. After placing your order, you will receive the version or versions of the stereogram that you ordered via email. Please make sure that the email address that you use with your order is the one that you want to receive the files. If you have any additional questions, please do not hesitate to contact us.